So this came as an Independence Day surprise. I was traveling from Mumbai to JFK via Abu Dhabi on my second work assignment in the USA. 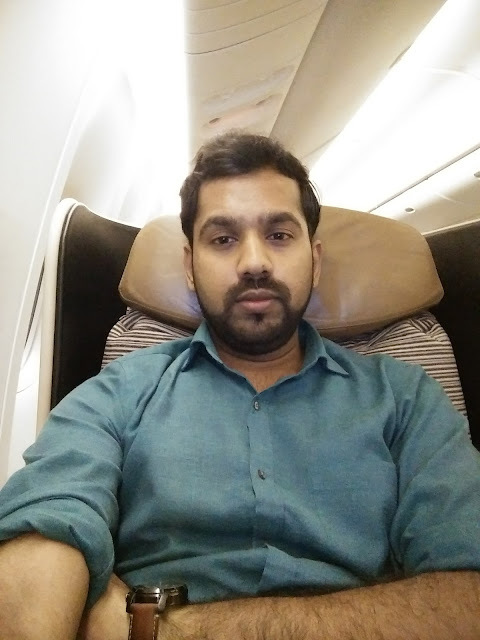 The tickets were of economy class on Etihad Airways but fortunately for my travel from Mumbai to Abu Dhabi, I got an upgrade to business class. 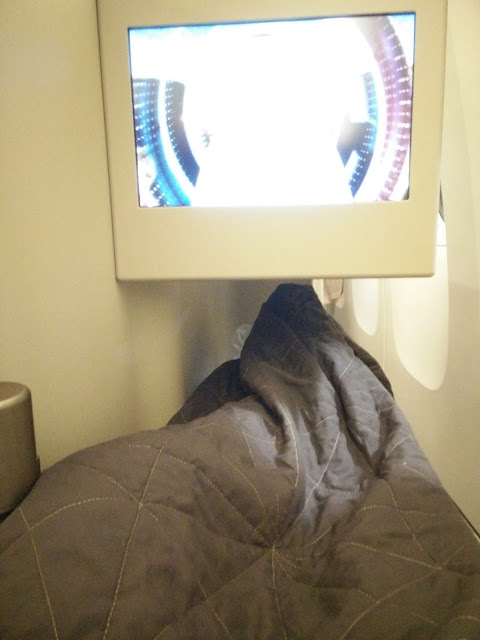 I was excited as traveling business class was on my bucket-list from my first flight and it was finally getting true. As it was an early morning flight so I was a bit dizzy but I made sure to enjoy the experience as much as I could. 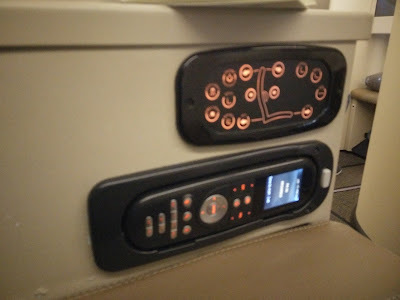 The plane was Boeing 777-200LR (77L) and my seat was 9K, the window one. 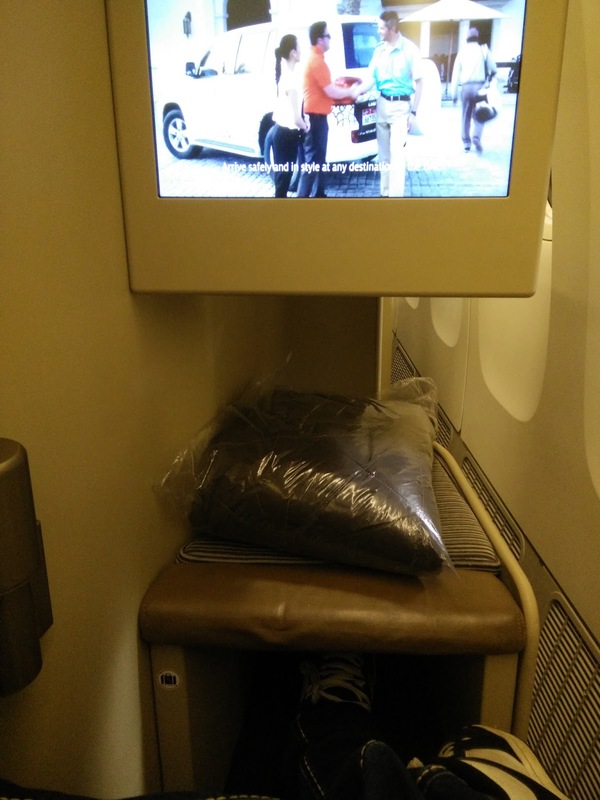 The seat was significantly bigger than that of the economy class, much wider and comfortable. 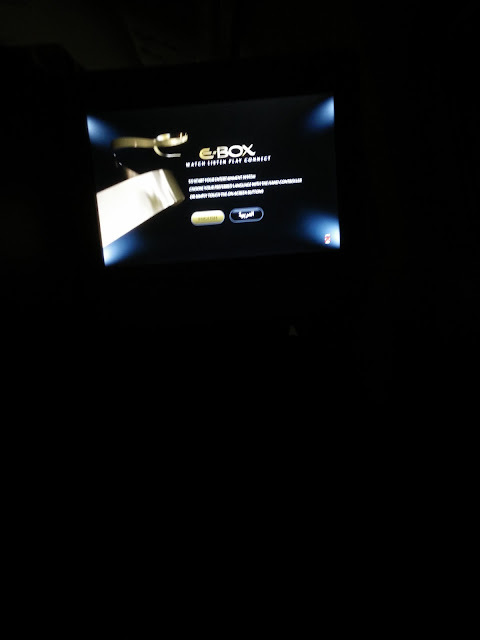 There was also a small box shaped seat in the front to put your feet on so that you can easily stretch your legs. Also, there were lot of adjustment options available. There were ample of storage spaces too. Now lets move to the food department. Orange juice was served cold as the starting drink. Next came in a cabin crew attendant who took my breakfast order. There were a number of options to choose from which included omelet, chicken sausages, pav bhaji etc. 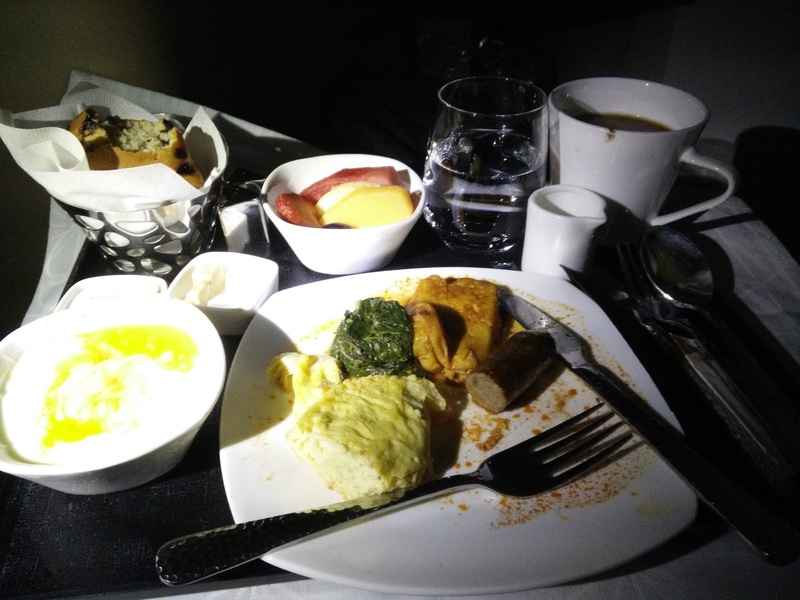 After 15 mins a sumptuous breakfast came at my tray table and the foodie in me was very happy to witness that sight. Apart from the above-mentioned items, the breakfast included fruit salad, large muffin, coffee and couple of more dishes whose name I don't remember. It was really a wonderful experience of 3 hours which will definitely be included in my book of memories to cherish for a lifetime.